The community kitchen at the Eva’s Village, the largest anti-poverty organization in New Jersey, received $40,000 in grant money from Bank of America to continue feeding hundreds of needy New Jerseyans. Every day the non-profit serves 300-400 lunch meals, according to the organization. From 2007 to 2014 the anti-poverty organization saw a 26.7-percent increase in the number of lunches it serves. More than 11-percent of New Jersey residents live in poverty, according to the United States Census estimates released last September. With nearly one-million New Jersey residents living in poverty there is no shortage of needy residents seeking a warm meal. Diners are served with dignity by volunteers from various companies and local officials. The banks employees often volunteer at the organizations serving meals to the residents. The non-profit has been supported by the bank over the years; it also intends to support the anti-poverty organization with their job readiness training and kitchen programs. The bank issued the grant through its Basic Human Services program. 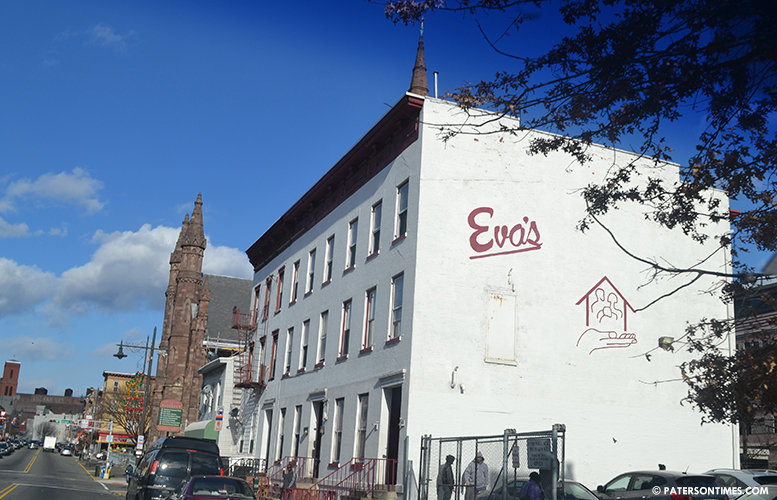 Eva’s village was founded 32 years ago by Vincent E. Puma in the basement of St. John’s Cathedral on Main Street to provide shelter, substance abuse treatment, and medical care to the impoverished since then the non-profit has expanded to include a soup kitchen and a culinary school.